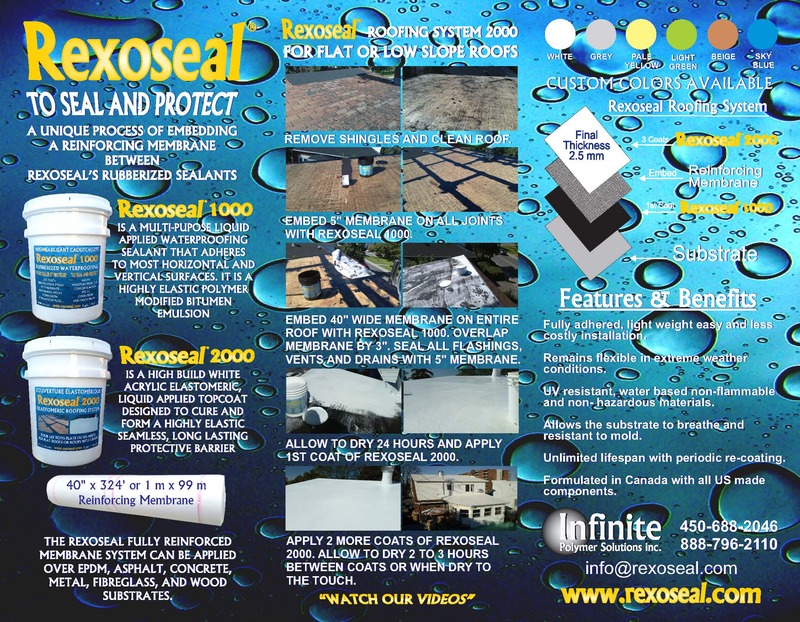 Roof Systems - Rexoseal | The Original Waterproofing Coating System! 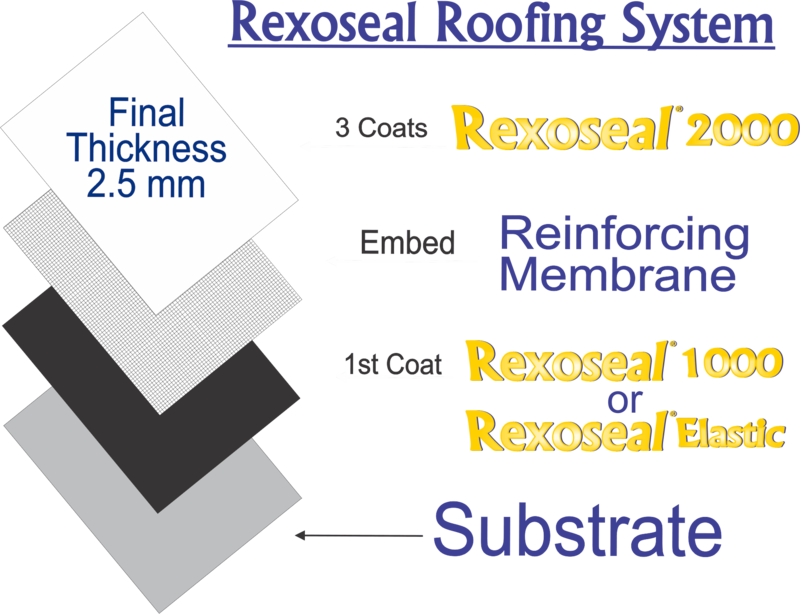 A unique process of embedding a reinforcing membrane between Rexoseals rubberized sealants. Rexoseal 1000 is a multi-purpose liquid applied waterproofing sealant that adheres to most horizontal and vertical surfaces. Its is a highly elastic polymer modified bitumen emulsion. 2000 is a high build white acrylic elastometric liquid applied topcoat designed to cure and form a highly elastic seamless long lasting protective barrier. The Rexoseal fully reinforced membrane system can be applied over epdm, ashpalt, concrete, metal, fiberglass and wood substrates. Added mildewcide protection against mould, algae and microbial growth.